AFTER being vacant for years, a massive site on the edge of Limerick city looks set to be developed into an apartment complex. Cloncara Investments Ltd have announced plans to build 100 apartments and small commercial units at the former garage at Punch’s Cross near the junction of the Ballinacurra Road and the Rosbrien Road, with the multi-million euro development to be fast-tracked through the planning process due to the country’s housing crisis. 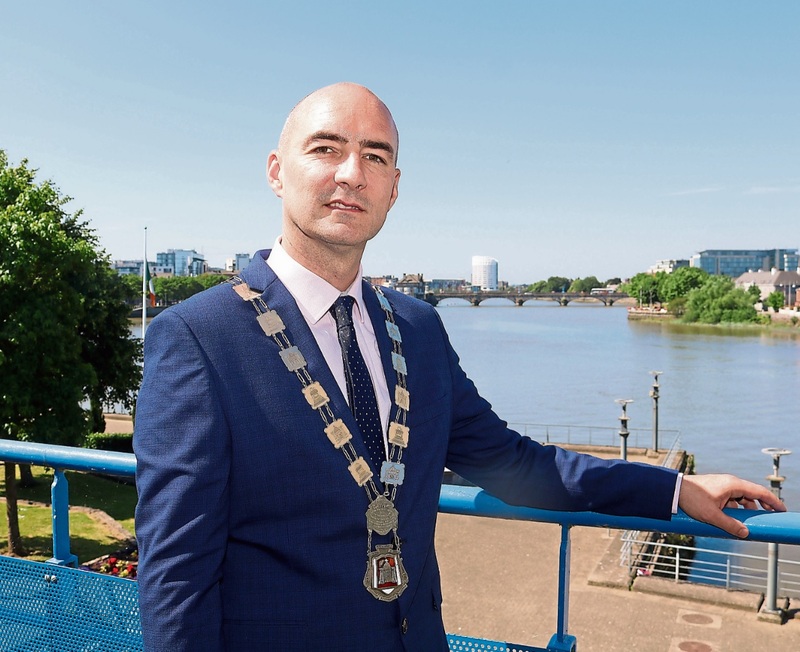 Talks have been ongoing with the council’s planning department in recent weeks, with the move welcomed by Cllr Joe Leddin who said he is delighted the “landmark, iconic site” is finally being developed. “I’m delighted it’s getting started. We have a chronic shortage of good quality apartments in the city. We are removing an eyesore, another derelict site from our city’s landscape. It is on a main artery road, the main Ballinacurra Road,” he said. It’s understood the 100 units will be divided between student accommodation and private accommodation, and will be supported by small scale business. However, it’s unlikely this will comprise a general store, given the fact the Greenpark Shopping Centre, and the Inver gas station are in close proximity. More likely, it will be a laundrette facility. Development of the site has been slow due to the fact until recently, there were three different owners which made securing any possible agreement to redevelop extremely difficult. As part of the proposed development, new road infrastructure will include new access roads and a widening of the existing Rosbrien Road to facilitate traffic turning right into the Ballinacurra Road. The application is going straight to An Bord Pleanala, under new laws from Housing Minister Eoghan Murphy which allow large-scale housing projects to skip a step in the planning process. Despite this, the public will still be able to have their say, with notices being erected around the site, Cllr Leddin said. Previously, the site was home to a car dealership, a video shop, a take-away and a petrol filling station.